This week's Fun Monday challenge is from Robin of Pensieve. Robin has asked us to show our worst of our bad hair days. I am not sure that my hair ever looks great. For one thing, I cut my own hair. Now, now, do not ((shudder)). My hair does not look much different if I cut it or if the nice lady at the salon cuts my locks, and my cut is free. Next, I have old gray hair or as my Dad used to say, "I have dead hair." 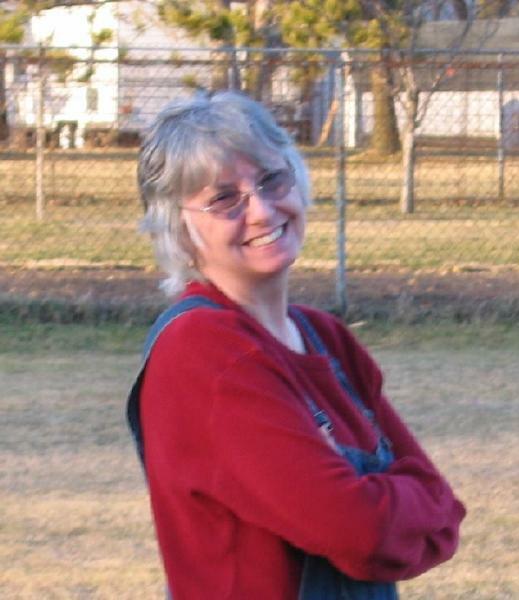 Of course, my hair has not always been gray, but it was always wispy as evidenced in this picture. As I grew to childhood, my mother bless her heart, liked this ah... pin curl look that is featured in these two pictures. The picture on the left shows me in my favorite wine-colored velvet dress with a pinafore; I am four years old. The picture on the right is the me at age 11 with the same not-so-stylish hair-do. 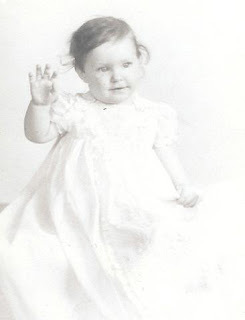 I think that my sweet Aunt Evelyn wore her hair this way until she died. 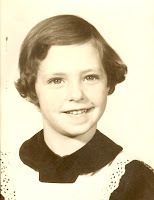 Luckily, in between the ages of four and eleven, my older sister took charge of my hair. She decided that I should have braids. The braids were not so bad except that I had to sit still while my siste r braided my hair. Throughout my sixty years, I have had long hair, short hair and the troublesome lengths in between. 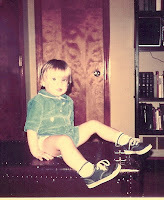 I have worn bubble-dos, pixie cuts, beehives, french twists, page-boys, flips, and shag haircuts. In the sixties, I ironed my somewhat wavy hair straight. And hoping to look stylish with ease, I have had more than one permanent. None of the adventures in permanent waving increased the beauty or style of my somewhat wispy hair. But mostly, I wear and have worn styles with no names and little style. I aim for clean. I was born with black hair that turned to a dark blond. For many years, I dyed my hair a lovely shade of auburn. As an adult, my natural hair color was a very dark brown. At age 26, I noticed a few gray strands of hair. I do not mind the gray hair so much. In fact, I think that having gray hair is rather humorous. Maybe because I was the youngest child in my family. The gray hair makes me mature or at least look mature. What I do NOT like is the two-tone effect of my gray hair. I do not have white hair interspersed with strands of with darker silver hair. As you can see from the back, I have a line of darker gray and white underneath that. In case you cannot find the glaring demarcation line of my two-tone hair, I have provided helpful learning aids (the red arrows. )I know, know that there are color remedies for this. However, even if I dyed my hair, I would be lax about keeping up with the dyeing, and then, I would have three-tone hair. Besides what I see, when I look in the mirror is lovely white hair. If it was all white, that would be grand. I actually do view the world through rose-colored glasses as my prescription lenses have a very slight rose tint. This might fit my world perspective too because I live my life looking through metaphorical rose-colored glasses. There are times, however, that the reality of the world's situation sifts through my eyes and enters my heart. These past few days in learning about child soldiers in The Democratic Republic of the Congo, about the 233 people killed in Iraq, and about the tragic deaths at Virginia Tech, cause me to view the world more realistically. Other bloggers, Thinking About, Lost a Sock, and Odd Mix have written passionately of the deaths at the university in Virginia as well ramifications this horrific event. I find it difficult to put my feelings into words other than to say I am terribly saddened by this tragedy. In my imaginary Pollyanna-like world, these bad things do not happen. Although in the real world, bad things do happen. However, as I pick-up my rose-colored glasses, I fervently believe that humankind can do better. And, I think that we should get started. Bethany of Ice Cream Mama is hosting this week's Fun Monday challenge. The challenge involves answering a set of interview questions similar to those posed by John Lipton of Inside Actor's Studio. Today, my favorite word is grace. I dislike words that degrade people particularly ethnic slurs. As I do not feel tremendously creative, I am not usually creatively inspired. I do enjoy making signs and cards with my computer and making PowerPoint presentations. If I was younger and artistically talented, I would enjoy studying to be a graphic artist. the sound of a gentle summer rain on the window and the sound of my two-year old granddaughter saying words like "blueberry" and "Play-Doh." I hate the sound of loud music, where you only hear the bass...boom, boom, booming, disturbing the peace and quiet of the neighborhood. 8.What profession, other than your own, would you like to attempt? Come in, my good and faithful servant. Bethany of Ice Cream Mama is hosting the next Fun Monday challenge. The challenge involves answering a set of ten questions in an interview similar to those John Lipton of Inside the Actor's Studio. If that sounds like fun, head over to Bethany's to sign-up for this Monday, April 16th. If you have visited this blog, Return of the White Robin, in the last few days, you already know the good news. If you have not read, please look at my How Was Your Weekend?, April 10th entry. Yes, our son Luke and sweet daughter-in-law, Frema, are going to be parents around Thanksgiving. If you know Frema and Luke, you know that they will be great parents. If you are regular readers of theirs blogs, you can surmise that Luke and Frema will be wonderful parents. Watching the young couple with their niece, Daffodil, gives us a glance of their love for children. Pictured here are Frema and Luke with Baby Daffodil at three days old. I hope that your Easter was wonderful. Our weekend was ecstatic. In February, the mother of our sweet granddaughter said that their little family would be able to make the trip to our home for Easter Sunday. Planning and preparing for their visit was fun and a bit hectic. Our granddaughter is two so Daddy D and I would like the house to be relatively clean and safe for the sweet toddler. Since we both work full-time as teachers, sometimes (most times) the house gets cluttered as well as dusty. Last Monday, we received a call from our son, Luke, telling us that he and his wife, Frema, would be coming to visit on Easter weekend too. Of course, we are delighted although a little surprised as the young couple spoke earlier about spending the holiday at home in Indianapolis. So Daddy D and I are looking forward to a visit from both sons and daughters-in-law and our precious granddaughter. On Saturday, Luke calls to let us know that they are on their way after a short visit with high school/college chums. Luke and Frema arrived in time for supper. I am busy getting supper ready, and Luke calls me into the living room. Luke and Frema give us the basket pictured here. There is really nothing unusual here either. Luke and Frema are kind and generous people and are always giving us presents. You may note that there is a children's book in the basket...still that is not out of the ordinary. We all are book lovers and give each other cute or meaningful children's books from time to time. Plus, the author-illustrator is Sandra Boynton, one of my favorites. We ooh and aah about the book and basket. Leaving the card for last, Luke reminds us that we should open the card. Still nothing unusual here...Luke likes greeting cards and uses cards to celebrate holidays and other occasions. But as Daddy D opens the card, we are overcome with joy to see this. Immediately, I am hugging Frema and shedding a few tears of joy, and Luke is hugging Daddy D. Soon, we are all hugging in a spontaneous four-person hug as a celebration of the good news. Want to more about the impending birth? Check out the blogs of Frema, who is the princess of blogging, at What’re you lookin’at? and Luke, at Useless Clutter . So how was your weekend? Our weekend was wonderful. Our sons were here, our daughters(-in-law) were here, our sweet little granddaughter was here, and our grandbaby-to-be was here. Whew, it is 12:15 AM, April 9th and so Fun Monday begins. The challenge for this week's Fun Monday posed by Amy W of A Family Story is to describe embarrassing clothing that we wear and how it got that way. I am not sure that my clothing embarrasses me, but maybe it ought too. One category of clothing that I wear, which might embarrass others, is my homemade articles of clothes. Occasionally, I will make something to wear to school to celebrate an event or a scientific concept. Since I really am not a seamstress, I usually sew something simple without buttons or zippers, wraparound skirts or skirts with elastic waistbands. The following skirt, Exhibit A, is made of funky Joe Boxer material, that features skeletons of Stegosauruses. Originally, I did not realize that the white edge of the skeletons glow in the dark. After making the glow-in-the-dark discovery, I started wearing the skirt when teaching about triboluminescence, which is an optical phenomenon in which light is generated via the breaking of certain bonds in some crystals. 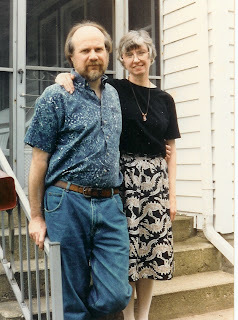 Here is another elastic waistband skirt that I have worn to celebrate Earth Day and National Geography Week. This wraparound skirt I made for an interdisciplinary study of Africa. I am not sure that the material represents the continent of Africa; however, the bright colors and fish are meant to characterize the mighty continent. The other category of ought-to-be-embarrassing clothes involves my penchant for wearing hand-me-down or hand-me-up clothes. I wear clothes from my sisters, parents, sister-in-laws, as well as my husband and sons. One of my favorite garments is a suit, a man's suit that my son wore almost twenty years ago when he was in high school. 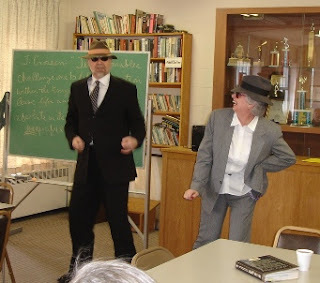 In this picture Daddy D and I are doing a little spoof on the The Blues Brothers for our Sunday School class. What do you think should I be embarrassed? About a month ago, Daddy D and I saw a presentation about the practice of using child soldiers in the Democratic Republic of the Congo. A Bukeni T. Waruzi Beck, the executive director of “AJEDI-Ka/Projet Enfants Soldats”, spoke about the military conscription of children and his organization's effort to rehabilitate those children. I admit that to being somewhat naïve about some of the evils that exist on our planet. Maybe I am guilty of closing my eyes to certain dreadful practices on this Earth. However, after seeing the informative presentation, I am saddened by the cruelty that we humans commit towards each other. What can we do to help? 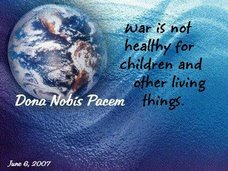 First, read the April 4th entry by PT of Thinking About..., in which he discusses this horrific practice of the using children as soldiers. PT speaks eloquently about this crisis. After reading his entry, speak out against this practice, and implore your legislators to decry this war crime. For this week's challenge, ChrisB of Ms Cellania has asked us to h ighlight a piece of vintage clothing. In the Daddy D/MJD household, we are not known for throwing away old stuff. We keep old stuff for a variety of reasons. First, some of these things are treasures, second we might have a use for Aunt Ida's framastam someday, and third and overwhelmingly, we hardly ever get around to streamlining our belongings. But on to the Fun Monday challenge, because we keep so much valuable stuff (crap), I am highlightiing four items of vintage clothing. Each is well-loved for different reasons. 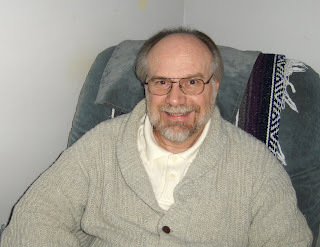 The old comfortable sweater that Daddy D is wearing in the picture is one that he has had since his sophomore year (1960) in high school. 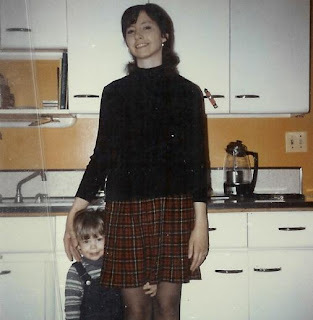 This picture of me and our oldest son from 1972 shows one of Daddy D's favorite skirts. The skirt is one that I inherited from my one of my older sisters, who are 4 and 7 years older than me. I shortened the skirt to fit the hemlimes of the seventies. The skirt is still in my closet. Although the button is popped, I can squeeze into the plaid school-girl looking skirt on occasion. The oldest vintage piece of clothing that I can locate is this vest that my mother wore in the eighth grade, which must have been in 1929. The vest used to have black star-sh aped buttons with rhinestone centers. 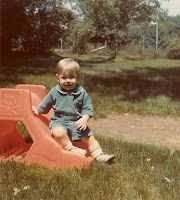 I wore the vest for many years into adulthood. But now there is too much of me to wear this lovely vest. Our favorite piece vintage of clothing is called the Little Budgee Boy Blue Suit. This is darling little suit is one that Daddy D, Little Budgee, wore as a baby. In turn, our sons are pictured in the little suit. Moreover, the suit is in the closet waiting to be worn by any and all grandchildren. 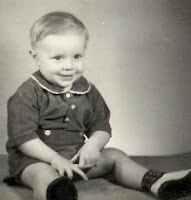 The black and white image is our Daddy D as a little boy some sixty years ago. Do you recognize the smile? The two pictures in color are our two sons thirty years after their dad wore the Little Budgee Boy Blue Suit.